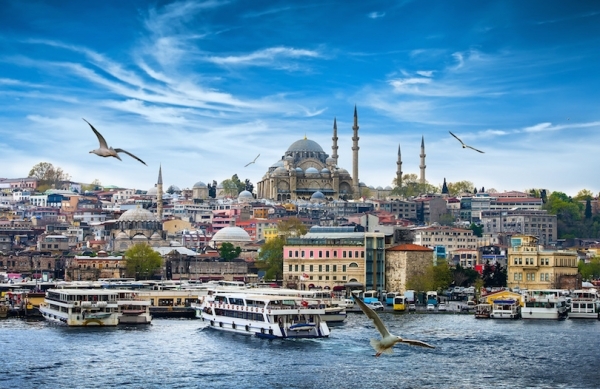 Explore Turkey...Travel to wonderful places full of beauty and history! 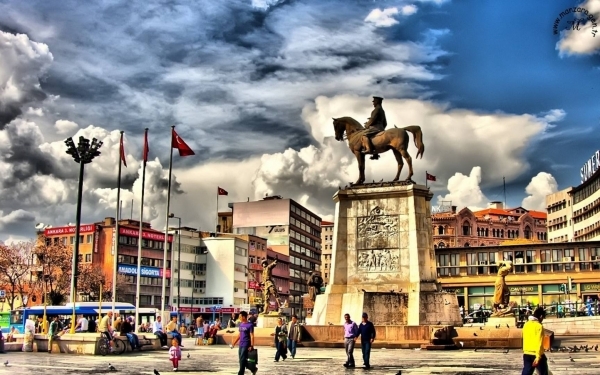 Imagine streets getting lost in muddy neighborhoods... women and men seating together in the traditional Turkish coffee shops... Whirling Dervishes swirling during the sunset and the portrait of a respectable old man with white beard, hanging on walls and front doors! 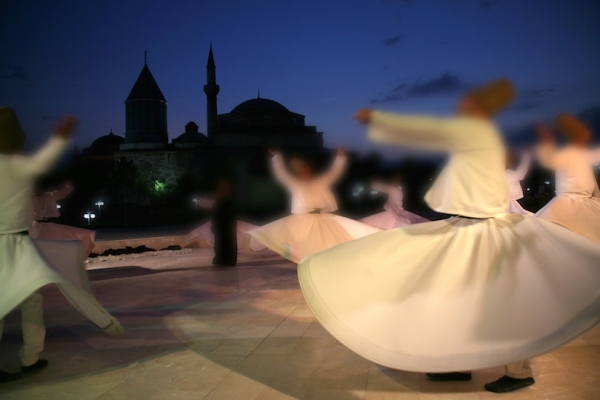 He is Jalaluddin Rumi, founder of the order of Whirling Dervishes, in the 13th century. 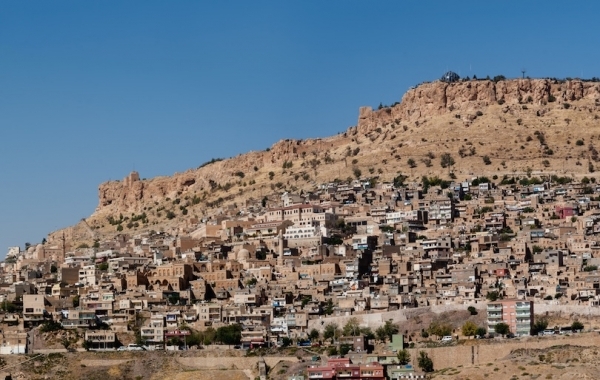 Konya of one million inhabitants, located in the heart of the country, being one of the oldest cities in the world and one of the most developed one in Turkey. In this city with the beautiful buildings, its hospitable inhabitants... love the dance, the music, the food and especially lamb and eggplant! 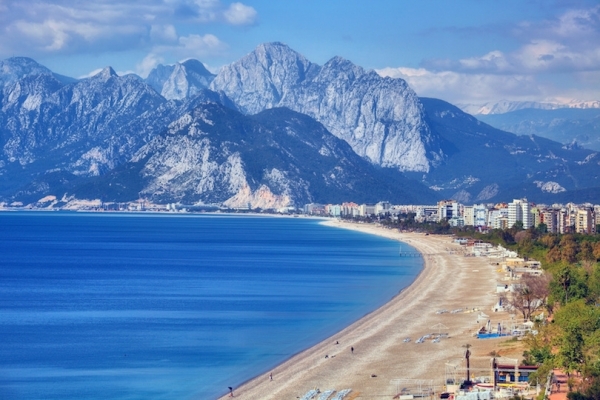 Considered the capital of the Turkish Riviera. At the shores of the Mediterranean Turkey, you will make a trip back in time, strolling in the old quarter of the town with the Roman ruins! Continuing, you can visit the new town full of modern buildings, luxury resorts, museums, restaurants, bars, golden beaches and the lush greenery. In this lively city of 800,000 residents, you can taste the traditional Piyaz dish with beans, boiled eggs, vegetables and onions, necessary accompanied with raki. In the depths of Anatolia, at an altitude of 1.500m and about 300km Southeast of Ankara, you can still recognize Greek elements… at the monasteries, at frescoes, at the inscriptions, at the old Greek mansions which have turned into hotels and at the crosses curved on the rocks. An unreal landscape which travels you to another planet, with all the amazing geological formations and bizzare rocks resembling mushrooms, standing still for many centuries, the canyons, the churches... creating an extraordinary scenery. 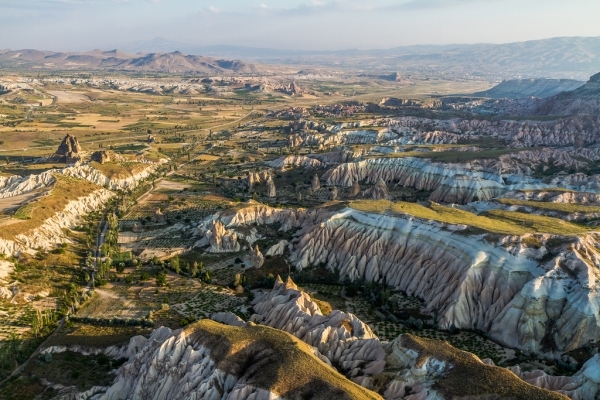 Each of the villages in Cappadocia, hides different beauties! The Konya which is the city of the Whirling Dervishes, Avanos which is the village of potters and weavers, Ürgüp which was amphitheatrical built, Göreme with important carved churches and the wonderful monastery complex dating back to the Saint Basil the Great and Ortahisar fortress which provides amazing view to the area. For the last two decades, nothing reminds of the forgotten village opposite of Rhodes. Nowadays, the picturesque town of 35.000 inhabitants, receives one million visitors every year, who are coming for the white sanded beaches, the turquoise waters, the magnificent nature, the seaside resorts and the lively nightlife! Yachts and cruise ships come and go to the harbor and to its five marinas. Tourists strolling to the cobblestone streets of the old town... walking up to the Sultan Suleiman's castle in 1522. In the mornings, visitors can do sea sports and horse riding at the pinewoods, exploring the surrounding villages! 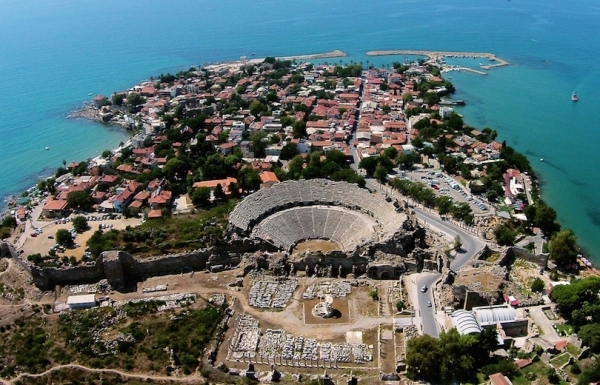 Almost opposite of Cyprus, the erstwhile important port of Alexander the Great, current Side, is a captivating city full of ancient ruins and luxurious resorts on beautiful white beaches! Really impressive the Ancient Greek, Roman and Byzantine sights, such as the huge Theater, the Agora, the Byzantine church, the municipal Baths and the absolute protagonist, is the temple of Apollo, which becomes even more amazing during the sunset. In the city, narrow streets lead to well preserved gardens and to small stores serving delicious meatballs and delights! Outside the city, all roads lead to Manavgat river with its waterfalls. Fluffy pillows thrown on the golden sand, icy rose wine and in the background somber songs! 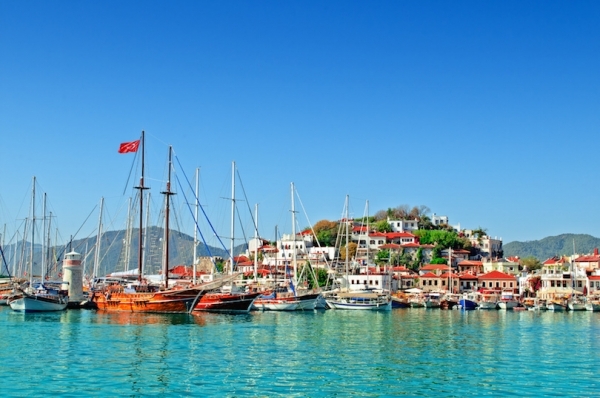 For most of us, this is the paradise of Bodrum. Every summer, over 3.000.000 tourists, visit this beautiful landscape with the wonderful beaches and the all-inclusive resorts. Derelict windmills built by Greek hands, stone churches, fountains, small villages sloping until they reach the sea. The old town of Bodrum with its pedestrian streets and the castle of Saint Peter dominating above the harbor, built by the Knights of Rhodes in the 15th century. Spicy kebabs, pies with rich flavor, baked in the oven, called 'pide' from the locals. Each guide and map for Bodrum are useless, because there are no signs or names for the roads. The secret lies with the locals who will help you with anything you need! The easiest way to reach the glorious ancient city of Minor Asia, is by boat from Samos to Kusadasi and from there is a 20 km drive. 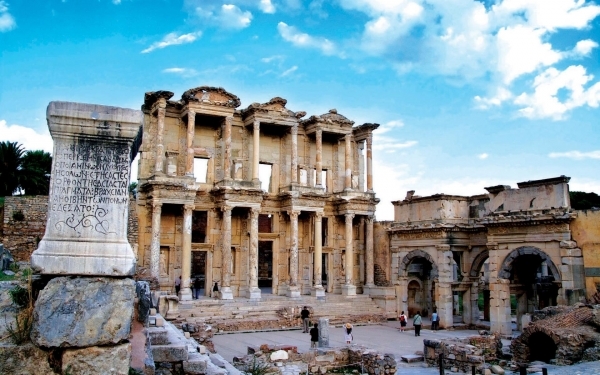 Ephesus, was one of the most important cultural centers, not only of Ionia, but of whole Mediterranean, writing a glorious history of 2000 years, with the temple of Artemis, being one of the Seven Wonders of the Ancient World. Every year thousands of tourists visit the ancient city which is one of the largest outdoor museums of the world. 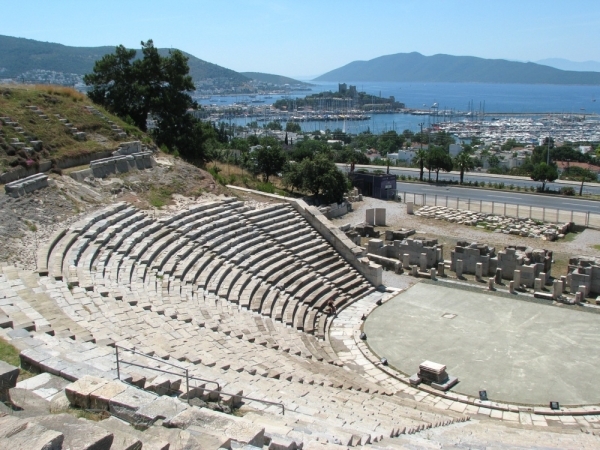 The biggest ancient Theater with 24.000 capacity where St. Paul preached, the Agora, the Odeon, the statues, the imposing colonnades with the Ionic capitals and the wonderful preserved buildings standing out for their size and architectural... are some of the things that will amaze you!